The Peoples Democratic Party (PDP) has removed its National Chairman, Senator Ali-Modu Sheriff, and sets up a caretaker committee. Senator Sheriff was removed on Saturday. The Caretaker Committee headed by Senator Ahmed Makarfi, a former Governor of Kaduna State, has been mandated to elect a new National Working Committee for the party within three months. 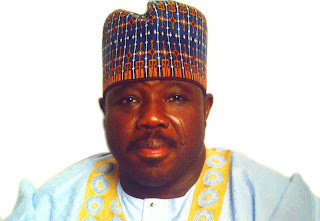 After he was removed, Senator Sheriff said “the PDP Convention stands cancelled owing to court injunctions” and called the exercise of Saturday a ‘charade and illegal’. Crisis within the PDP is believed to have led to the removal of the National Chairman on a day the party had scheduled a National Convention. At the convention ground in Port Harcourt, party leaders appeared divided over the National Convention. Senator Sheriff had announced a postponement of the convention but the party’s Vice Chairman of the South-South, Mr Uche Secondus, declared that the convention must go ahead as planned. A member of the Peoples Democratic Party (PDP) and the spokesman for the Goodluck Jonathan campaign team in 2015, Mr Femi Fani-Kayode, had after his election insisted that Senator Sheriff was ‘intrinsically linked with Boko Haram‘ and should not head a serious political party.